Some streaming devices are in a league of their own. If you’re buying an NVIDIA Shield, Fire TV, or even a Roku or Apple TV…the specs don’t matter as much. These boxes are from major companies that have a reputation to protect. They want to make sure you’re happy with your purchase. Most box sellers don’t have that kind of history. So how do you know what’s good and what’s not? I’ve spent over four years covering this industry, so you might say I know a little bit about it. Here’s my recommendations for what to look for if you’re going to buy the Android TV box devices in 2019. Exclusive Bonus! Like this article? Download a free checklist with the five things you need to be looking at when buying a new Android TV box. Any good box seller will put the box specs front and center on their webpage. The trouble is…a lot of the bad ones will do that too. What Android TV box specs do you look for? Let’s take a look at some of the major lines on the spec sheet to start off with.. There are three major companies making most of the processors for Android TV boxes: AmLogic, RockChip and Allwinner. Two of those aren’t worth your time (or money). Allwinner has developed a reputation of promising amazing specs and rarely delivering. Their older A80 chipset was the driving force behind the Tronsmart Draco which I dubbed the biggest disappointment of the year. The official Team Kodi developers flat out refuse to help their members with Allwinner devices who have problems. My advice is to steer clear. RockChip based devices look great…on paper. Once you start digging in, the flaws start to rear their ugly head. RockChip gets decent video playback quality, but they need their own specialized version of Kodi to do it called RKMC (RockChip Media Center). My impression of RockChip is that they’re dedicated engineers who want to move on to the next big project without worrying about supporting the current processor that people are still buying. In my opinion, AmLogic is the most popular Android TV box processor manufacturer, and the only one worth buying. But it’s not just my opinion…Most of the major manufacturers have moved towards AmLogic processors. You’ll find versions of AmLogic’s processors powering higher end boxes from Wetek, MINIX and Vero. My advice: Stick with an AmLogic S905 or S912 based device. In their review of the 8 GB OnePlus 5T, AndroidCentral went into a lot of detail about how a phone uses RAM and whether Android can really use more than 4 GB. Since most Android boxes use the same operating system as a smartphone, the principals are the same. Memory is what makes the operating system go, so more is always better. The hiccup is that there’s a practical limit to the maximum amount of RAM you can use. Right now, that limit is 4 GB. Most smartphones, even flagship phones like the Google Pixel 2 and the Samsung Galaxy S8, only come with 4 GB of RAM. If the best smartphones don’t see any benefit to pushing that envelope, your Android TV box won’t be able to use more than 4 GB. My advice: Memory is your biggest bang for the buck. More is always better, but anything more than 4 GB is a waste. I wrote an article in late 2016 about how much Android TV box storage that I recommend. Not much has changed in the storage world since then. There are still a few 8 GB TV boxes and still only a few 32 GB boxes. Most of them still some with 16 GB stock. We’ve got 128 GB and 256 GB smartphones. But nothing on an Android box higher than 32 GB. The NVIDIA Shield TV is the obvious exception with a 500 GB version, but that’s using an actual hard drive, not flash storage. Why has progress slowed to a crawl? Most of us use our Android boxes for streaming, so we’re not downloading files to the internal storage. If we’re installing apps, they’re small enough to fit on an 8 GB device without too much trouble. When the manufacturers are trying to cut costs any way they can, why spend their development money for a larger storage drive if their customers aren’t going to use it. Thankfully, unless you’re a gamer, storage really shouldn’t be a driving factor. My advice: Go with at least 16 GB to give yourself a little cushion. For anything more, opt for an external hard drive or flash drive. How you connect to everything…is everything. If you don’t believe me, just think back to the last time your Internet was out. How long did it take before you were huddled in the corner, crying like a little girl? Wi-Fi: Make sure you’ve got at least 802.11 ac. Anything less and you’re going to be stuck watching that spinning status circle instead of watching a video. Ethernet: Gigabit Ethernet is still the preferred method to connect to the Internet. It’s not a necessity, but it’s as close to one as you’re going to find in this article. You’ll only need one – fast Wi-Fi or Gigabit Ethernet – depending on how you connect. For example, I don’t care about the Wi-Fi on my NVIDIA Shield because it’s hard-wired with Ethernet. My Fire TV on the other hand relies on the W-Fi signal, so the Ethernet connection doesn’t matter. HDMI 2.0: This is a requirement for 4K at 60 frames per second. If you want to future-proof your device, this is the one feature that you need to look for. Some devices may use HDMI 1.4 which is an older spec and you’ll be limited to 30 frames per second. Motion won’t be as fluid and you may see some screen jitters. Dynamic Refresh Rate Switching: What Dynamic Refresh Rate Switching will do is to adjust the refresh rate automatically between the source and the TV. That way, if you have a 24 Hz source and a 60 Hz TV, it will automatically sync those so that you can get the best picture possible…without you having to lift a finger. HDR (High Dynamic Range): HDR has taken over as the big TV buzzword. HDR does for colour depth what 4K did for screen resolutions. LCD screens can look washed out because of the way that they project the image on the screen. HDR makes the colors on the screen deep and rich, and the blacks seem darker. 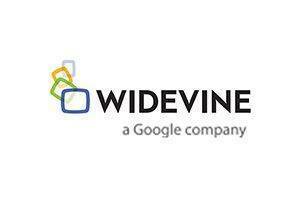 Widevine certification: Google’s Widevine DRM is a necessity for streaming 4K and HD content from services like YouTube and Netflix. Unless you’re planning on streaming your own content through Plex, this is a must. Let’s talk about money…How much is an Android TV box? Will my Android TV box stream Netflix in 4K or HD? After you buy Android TV box…then what? 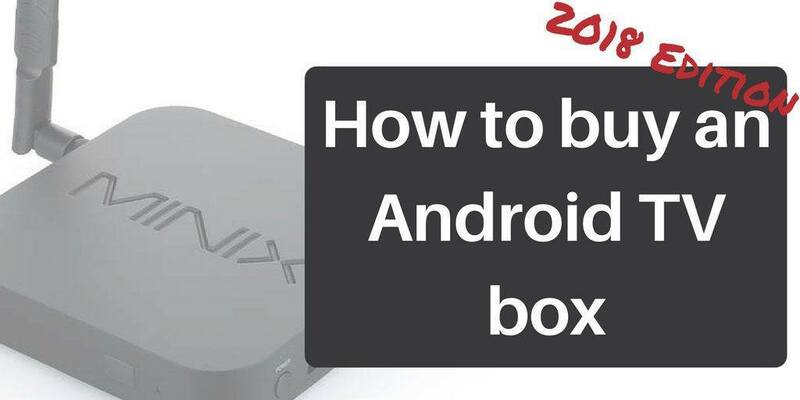 If you’ve already got a new Android box, how do you set it up? The setup is similar to how you’d set up an Android smartphone, but there are some extra steps to optimize it for streaming. I’ll show you step by step how to setup an Android TV box here. Really a well written article Tim. I had never read a description of WIDEVIDE before. Heck I didn’t even know it existed, ha ha. I also think your 2018 buyers guide is right on target and should be a primer for every new Android box purchaser. I sent an inquiry via email but, have not heard back. Did you receive it. it was about seeking your recommendation on an Android mini PC. Hi Jeff. I have a couple of guides: Check out my Best Android TV box article, my Best Fully Loaded Kodi Box article for some suggestions. Is the Amlogic S905X cortex a53 and the ARM cortex a53 the same? Thank you for your help. I bought a t9 tv box with a kodi 18.0 beta 2 and it satisfies me. The only thing is that i can not go into the kodi standard, advanced and expert settings because i can not find the master lock code anywhere in all the different menus. Other than that i’m quite happy. Thank you for your time.